AdNaNoTek provides UHV system with chamber that are made of SUS316L stainless steel and with components that are UHV compatible and of high quality. Our conceptions and designs ensure UHV condition and clean environment that is perfect for clean and uniform thin-layer deposition processes. AdNaNoTek's UHV deposition systems (MBE, PLD, IBSD, ALD, MSD, Evaporator, etc.) 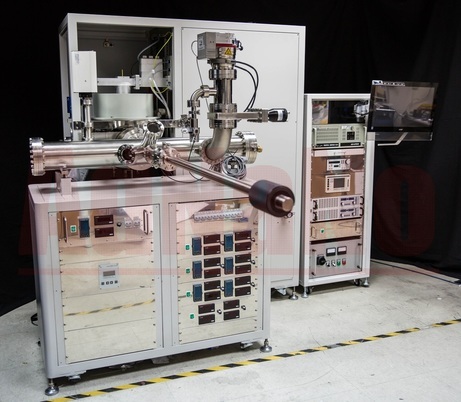 are guaranteed to deposit extremely high quality thin films in terms of purity and uniformity. The built-in software also provides user-friendly interface that allows easy operation, precise parameter tuning, and complete data logging with the use of typical desktop computer.